Thank you for purchasing The7! In this Quick Start Guide you will find all required information on how to install the theme and bundled plugins, troubleshoot most common issues and make your site look like the theme demo. For detailed information on theme usage please visit The7 online user guide. Furthermore you can use Troubleshooter and Knowledge Base at our Support Portal. The7 comes with complimentary support. So when all else fails, please do not hesitate to submit a support request via our online Help-Desk. Our support policy is available on this page. If you want someone to help you with theme customization, or even build your entire website, our Custom Shop service is there at your service. We hope you will enjoy working with The7. Due to amount of features available in The7, you may find the number of settings in it to be a bit overwhelming (compared to a "usual" multipurpose theme). For super-easy adaptation, we recommend using "Theme Options > Wizard" and avoid advanced settings at first. Very soon you will get the idea behind theme architecture and will be able to use The7 to its full potential. Also note, that this Quick Start Guide does not cover basic WordPress usage. If you are a WordPress newbie, please get accustomed with it before proceeding with this manual and theme! Make sure you understand Pages, Posts, Menus, Widgets, Plugins etc. Seriously. If you do not want to spoil your experience with any WordPress theme, get accustomed with WordPress basics first! If you've downloaded and unzipped the full theme package (you are reading this document, so you've obviously did ), locate the theme installation file called "dt-the7_v.X.X.X.zip" (or something like that). Fig. 1 - Downloading installable file. Log in to the WordPress admin area. Navigate to "Appearance panel > Themes". Fig. 2.1 - Uploading theme. Fig. 2.2 - Uploading theme. If you were not able to install the theme this way, most probably your server has upload file size limit. The theme installable .zip file is too large to be uploaded via WordPress admin area. You can contact your hosting provider and ask to ease this limit (e.g 40-50 MB will do). Alternatively you can read on to learn how to install the theme manually. Unzip the installable file. You need to preserve the directory structure in the archive when unzipping it. Using an FTP client to access your host web server, upload the theme folder ("dt-the7") via FTP into "wp-content/themes/" folder. Select the "Appearance > Themes" panel. Fig. 3 - Activating The7. 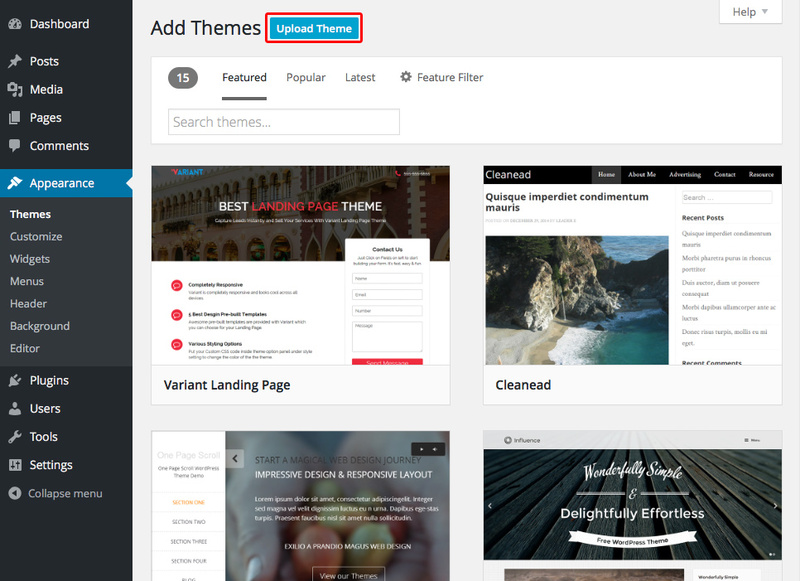 You can view more information about any theme by clicking Theme Details. A live preview of The7 theme (using your website's content) can be seen by clicking Live Preview. Attention! If the theme preview is blank, do not activate The7! Please refer to this section of Quick Start Guide to resolve the issue. Otherwise, your site will not be displayed correctly. To activate the theme click the "Activate" button. Note: To make sure your permalinks work correctly (website does not return the "404 Not Found" error) after activating the theme, navigate to "Dashboard > Settings > Permalinks" and click "Save Changes". Fig. 4 - Cannot upload the theme. 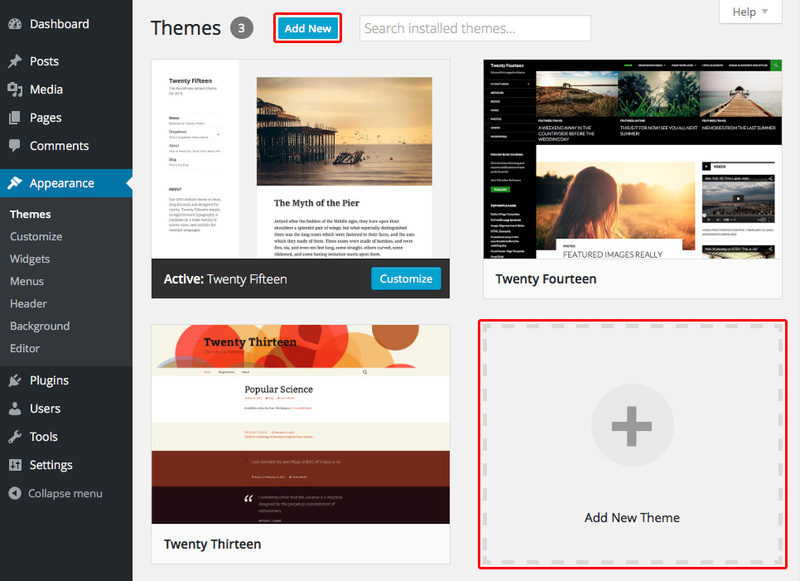 If you were not able to install the theme via "Appearance > Themes" interface (see fig. 4 above), most probably your server has upload file size limit. The theme installable .zip file is too large to be uploaded via WordPress admin area. You can contact your hosting provider and ask to ease this limit (e.g 40-50 MB will do). Fig. 5 - Theme is missing the style.css stylesheet. A common issue that can occur with users new to installing WordPress themes is a "Broken theme and/or stylesheets missing" error message being displayed when trying to upload or activate the theme. This error message does not mean that the theme is broken, it simply means that you are uploading the wrong file. Please make sure that file you are uploading installable file. It is called something like "dt-the7_v.X.X.X.zip". Please refer to Basics section of this guide for details. 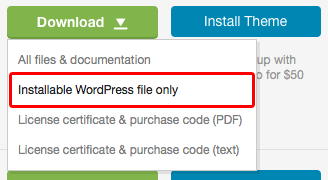 First and foremost, try to edit the "wp-config.php" file in the root of you WordPress installation. Search for 'WP_MEMORY_LIMIT'. If there is such setting, set the limit to '256MB'. If there's no such setting, add this bit of code before the MySQL settings define( 'WP_MEMORY_LIMIT', '256M' );. Also make sure there's no 'WP_MAX_MEMORY_LIMIT' setting in "wp-config.php" file; or make sure it is not less then '256MB'. Second, if editing "wp-config.php" did not help, try to add this bit of code in the beginning of ".htaccess" file: php_value memory_limit 256M. Third, if you get the error even after completing both steps above, it may be that your PHP is configured in CGI or suPHP etc. In this case instead of ".htaccess", you should create a file called "php.ini" and place this bit of code in it: memory_limit = 256M. If above steps did not yield any result, please don't hesitate to contact your hosting company support department. Since this is most likely a server-related problem, we will not be able to help you. Fig. 6 - CHMOD issue. 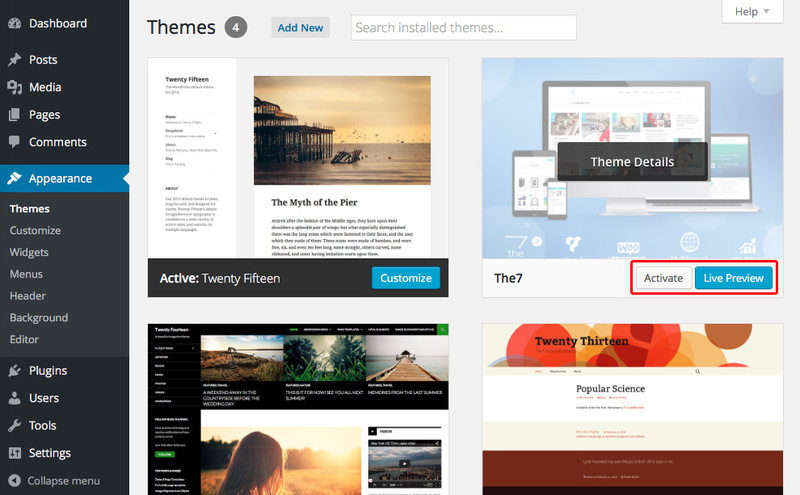 Make sure that theme installed strictly to "your_site/wp-content/themes/" folder. The folder "your_site/wp-content/uploads" must be created. On some servers you'll need to set its CHMOD to 755, on others – to 777. After theme activation, on some pages you can encounter the "404 Page not found" error. This is a simple one. In WordPress admin area, navigate to the "Settings > Permalinks" and click "Save Changes" button. This will update the ".htaccess" file to work with custom post types of The7 correctly. Fig. 7 - recommended plugins installation notification. Fig. 8 - Recommended plugins installation interface. The installation process is quite straightforward: you hover the mouse over desired plugin and click the "Install" link. After installing the plugin, please don't forget to go back to "Plugins > The7 Plugins" interface and click the "Activate" link on installed plugin(s). The same process can be used to update plugins. Bulk plugins installation / activation / update actions are also available. However note that this feature may not work correctly on some servers. The7 is designed to work best with Visual Composer plugin. Though it is not required, we strongly recommend you to install and activate it. Otherwise you will not be able to take advantage of all The7 features. 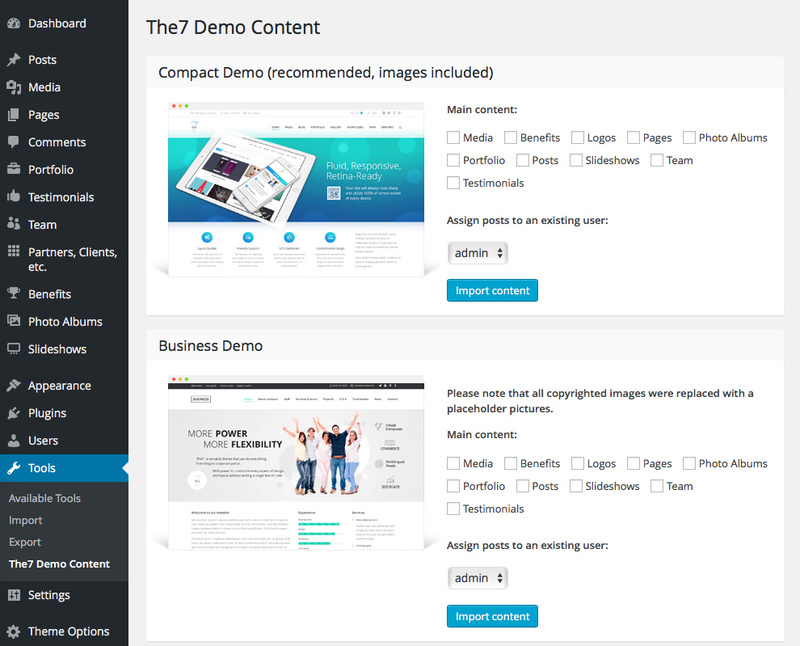 To install theme demo content, you'll need The7 Demo Content plugin. For a slideshow we recommend using Slider Revolution. Install WooCommerce if you're building a web shop. Fig. 9 - Importing demo content. If you are interested in importing WooCommerce products, please install and activate this plugin before proceeding with demo content import. After you've imported the main bulk of demo content, you'll need to import the Slider Revolution sliders. You can find them in "Demo Content > Slider Revolution" folder of full theme package. Please refer to plugin user manual for details. You may also want to import theme options from thematic demo that you've installed. In "Demo Content > Theme Options" folder of full theme package you'll find .TXT files with encrypted settings for each demo. Use the content of one of those files in "Theme Options > Export/Import Options" interface. Note: custom menus and content of widget areas cannot be exported/imported. Fig. 10 - Theme Options Wizard. The7 has highest amount of settings to customize your website appearance in industry up to date! Therefore, number of advanced settings in Theme Options can be a bit overwhelming at first. Especially if you have no experience with "multipurpose" WordPress themes. Do not worry, we have your back cowered from first seconds of using The7 theme. You do not have to mess with all settings to design your site. Simply use the "Theme Options > Wizard" interface! Theme Options Wizard allows you to set up basic settings of site appearance, mobile and desktop headers, branding, sidebar, footer, background and text colors, etc. The Wizard will do the rest, intelligently calculating all other settings, so you can have your site professionally designed in mere minutes! When Wizard will do its work, if you wish, you can fine-tune every aspect of your site design in the corresponding section(s) of Theme Options. Once you've read this Quick Start Guide, installed the theme and made yourself somewhat accustomed with it, you may want to read the full user guide available online. Though we hope (and believe), you'll rarely need it. If you encounter any issues, you can use Troubleshooter and Knowledge Base at our Support Portal. And, of course, you can grab another copy of The7 for your upcoming projects here on ThemeForest. and it will be a great help in all your endeavors online!